The UMFA is an ADA accessible building. All galleries, The Museum Store, Museum Café, and the Katherine W. and Ezekiel R. Dumke Jr. Auditorium are wheelchair and stroller accessible. There are two public elevators in the Museum—one located in the lobby and another in the southeast corner of the Museum. A wheelchair is available for use during your visit, inquire at the welcome desk. A limited number of assistive listening devices are available for programs in our auditorium. Discover more about the art on view using our free audio guide with transcripts for each audio stop, click here to download directions. Contact the accessibility coordinator to request sign language interpretation or other accommodations for a lecture, film screening, or tour. Guided tours of the Museum's touch collection are available by appointment. 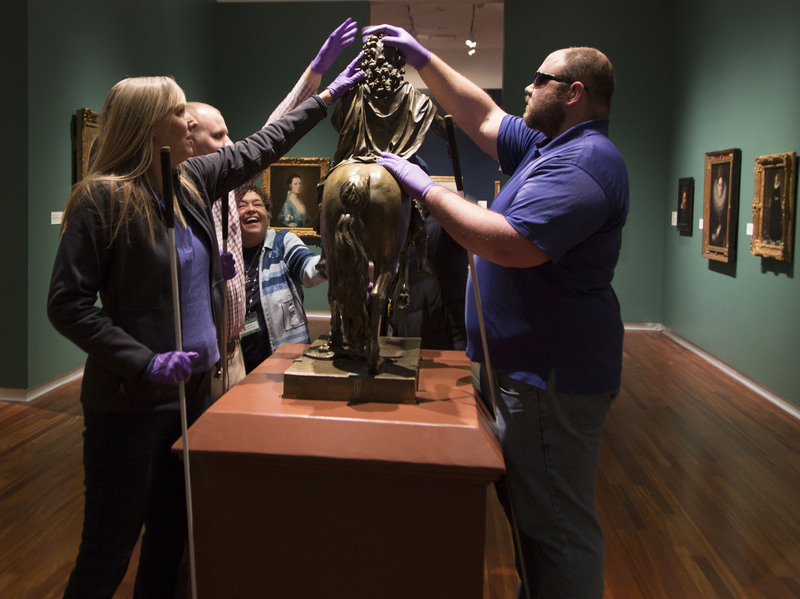 Escorts guide visitors through the galleries to describe objects and read accompanying labels. Contact the accessibility coordinator or call 801.585.7163 to schedule a tour. Wall labels and exhibition information are available in large type throughout the galleries. Visitors with service animals are welcome at the UMFA. Contact the accessibility coordinator or call 801.585.7163 for more information.